How to manually add keywords. 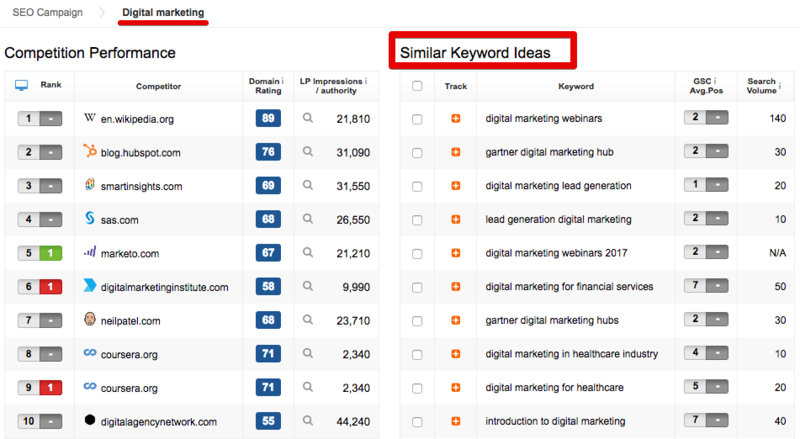 Tips on finding new keyword opportunities across the platform. Having most of the relevant keywords monitored is essential for accurately measuring the SEO performance of a website. You can easily and comprehensively do that in SEOmonitor. 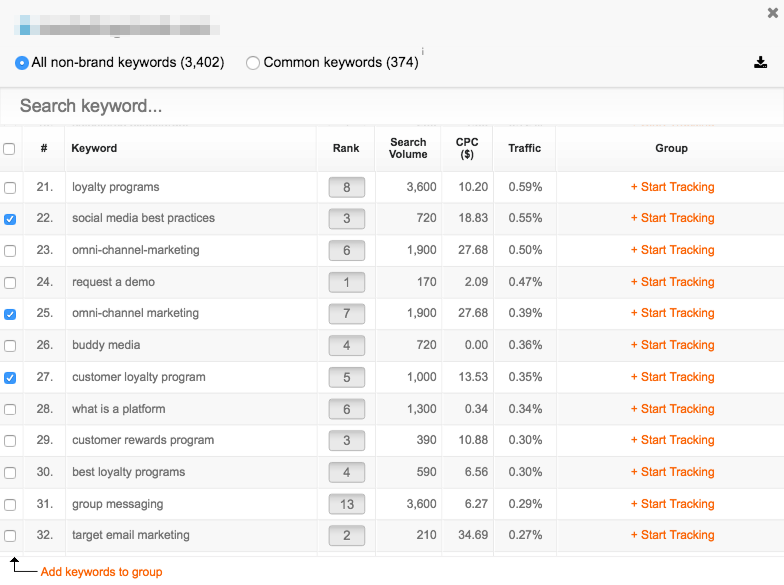 When you add a new campaign, you have the option to request an automatic keyword research. The platform will then pull keywords from your Google Search Console and from our own database, then select the ones that are relevant and add them to your portfolio. You can also request the automatic keyword research at any later time, in the Research >> Keywords module. The keywords would be added to a new group, called "SEO Opportunities yyyy-mm-dd". They can be added to your portfolio from the Track with SEOmonitor button at the bottom of the page. 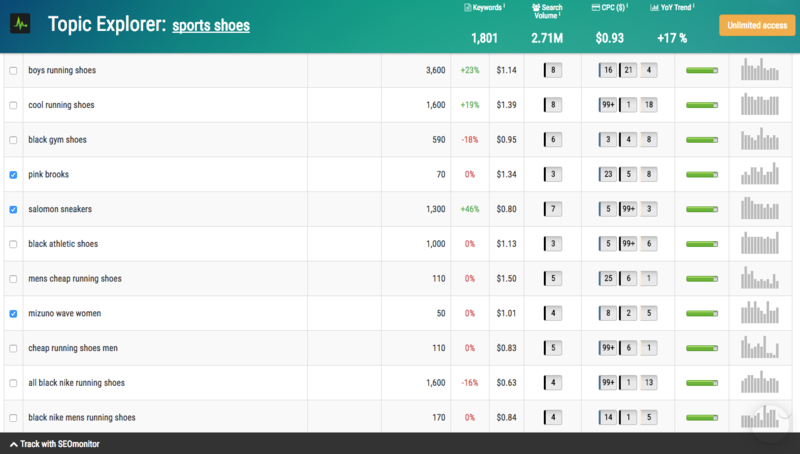 In the Competition Insights module, you can get keyword suggestions by "having a peek" into your competitors' keywords. Another way to enrich your portfolio is through the keywords that are already generating organic visits. We extract all of these keywords from your Google Search Console and match them with the traffic data from Analytics, using our not-provided segmentation algorithm. We strongly recommend that you follow these steps and track all the relevant keywords you're already performing on, along with the new opportunities you're planning on pursuing in the future. This way, you'd have a correct overview of the market and of the evolution of your SEO performance in the market.